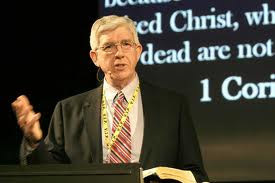 Dr. Tom Nettles spoke at the 2012 Founders Breakfast in New Orleans before the opening session of the annual meeting of the Southern Baptist Convention. In his talk, he analyzes the history of the SBC in a chiastic structure and then looks at the contemporary scene in light of this analysis. I highly recommend that you listen to it. You may download the audio file or listen to it here, free of charge. More resources from Dr. Nettles, including his latest book, Whomever He Wills, edited with Matthew Barrett are available from the Founders website.